The following photos show an example of some of the Quilts that will be seen in my Lectures. This Lecture shows through examples how to combine fabrics to create a wide variety of quilts. From Traditional to Modern, approximately 100 quilts, tops and other ‘pieces’ are shown to illustrate how color along with the value or depth of color will effect patterns. 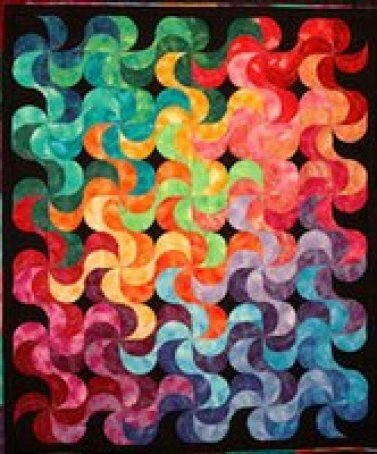 The following is a listing of some of the examples are seen and discussed during the Lecture: Amish, Country, Appliqué, Samplers, Scrap, Pictorial, Animal and a wide variety of other quilt styles. This Lecture is designed to show how easy it is to design. Exploring a series of simple easy steps, anyone can create their own original designs. This Lecture begins with slides depicting a variety of potential designs that can be seen in our everyday life and how these can be turned into quilts. 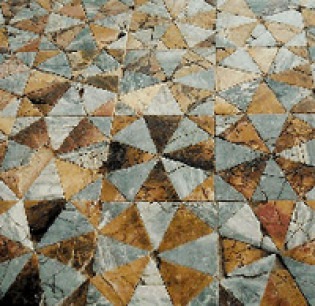 Then a number of quilts and quilt tops are shown to illustrate a wide variety of design elements and how they have been used to make either Traditional or Original quilts.